Summer Camps and Adventureland are what summer is all about! Bring your camp for a day they’ll never forget! We can customize food, game, arcade and snack packages! Parking for buses is always free, and you only pay for if you ride! Summer camps are designed to strengthen children’s social skills and abilities and keeping them entertained. At Adventureland, kids can develop and build their social skills. Our variety of thrilling rides, attractions and activities allow kids to meet new friends and connect socially. A day of having fun in our theme park makes everyone more interactive and friendly. With so many things to do at Adventureland, employees and kids will be busy exploring rides and attractions throughout the day. Our summer corporate events and schools camps event also include the arcade and outdoor games that they can enjoy with their new friends. And if they get hungry, our restaurant, food court, and snack stands offer a wide variety of food options and treats to satisfy anyone’s appetite. Adventureland offers a variety of entertaining rides and attractions in a fun and safe environment. Our huge theme park gives children an opportunity to explore and enjoy what they like most. Adventureland Amusement Park located in Farmingdale, New York is a great venue for summer camp of corporates and school groups of all ages. Make your group company summer outing camp trip reservations today at Adventureland for extra savings. 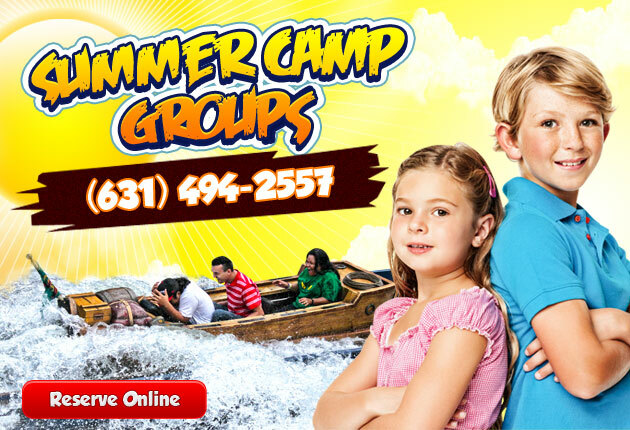 Call us at 631-494-2557 for reservations and more summer camp group sales information.